This is an interview by The Bleeping Herald with Dr. Jeffrey Fannin. 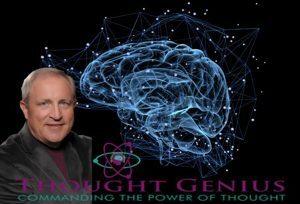 Jeffrey L. Fannin, Ph.D. Psych, is the founder and Director of the Center for Cognitive Enhancement and Thought Genius, LLC. He has worked in the neuroscience field, mapping and analyzing the brain for over 17 years. Dr. Fannin has been involved in cutting-edge research, using electroencephalogram EEG technology to accurately measure balanced brainwave energy he has identified as the “whole-brain state. Training the brain for optimal brain performance gives people access to more mental and emotional resources. His most recent research pursues the effect of subtle energy in the quantum field and consciousness affecting the brain. Herald – The possibility of people training themselves to make a radical change in their thinking and enter “whole brain” states through brainmapping is incredibly exciting. What exactly is brain mapping? Jeffrey – Brainmapping is a way to learn about your brain’s performance. We use neurofeedback from an EEG machine to provide a signal that can be used by a person to receive feedback about their brain activity. Then we give the brain a reward when it produces the brainwave energy that it is being prompted to produce. It’s a safe, non-invasive, procedure that provides a host of information regarding the brain’s current ability to perform. Typically, three readings are taken, one with eyes open, another with eyes closed and a third with the brain performing some sort of task. These conditions help to identify the brain’s current level of performance and reveal what will be necessary to achieve optimal brain performance. Herald – You want to take the technology of brainmapping and brain training out of the laboratory and make it available for in-home use. How close is the technology to being commercially available? Jeffrey – We just launched a crowd-funding campaign to raise the last bit of money to finalize the BMAS 1.0 software (Brain Mapping Acquisition Software) that works with a sixteen channel headgear enabling people to do brain mapping and brain training from their smart phones or their tablet or computer anywhere in the world. We’re real close. Hopefully the first quarter of 2017 it will be ready. Maybe the spring. Herald – What made you decide to venture into creating this kind of technology? Jeffrey – We’ve got so much stress in this world. People don’t know how to shift from depleting emotions to renewing emotions and get to a point where they’re more in control. Christmas is the perfect example. People are out there going crazy thinking “I’ve got to have just the right gift” and “Oh, my gosh, what if it doesn’t get sent on time….” That’s no way to live. People want to be able to deal with their stuff. They want to be able to know what their heart rate is, and how they’re sleeping and be able to utilize some self-regulating processes. They don’t want to have to go to a clinic to have a brain map done. They don’t want to have to wait for some technician to do whatever, or go to a counselor … not that technicians and counselors aren’t important. But we’re changing. We live in a mobile society. People are very busy in their daily lives and they need the ability to facilitate their own growth. The world’s hungry for this. Herald – You’ve been working for some time with the HeartMath Institute. What’s the correlation? Jeffrey – Currently we’re working with HeartMath recording twenty video modules teaching people about heart and brain coherence and how you get to a coherent state and how to utilize some of this technology. People are always asking “How do I take this to the next level?” The Institute and Thought Genius™ were kind of running parallel paths, so we decided to see how we could support each other. Herald – So basically there’s a relationship between the heart and the brain? When one is in a coherent state it positively affects the other? Jeffrey – Absolutely. Yes. The regulation of our autonomic nervous system is the key ingredient. Herald – Could you explain? Jeffrey – We live in such a chaotic world filled with distractions people can’t get to this state of heart-based living which is basically about learning how to regulate their autonomic nervous system. There are two sides to the autonomic nervous system, the sympathetic and the parasympathetic. The sympathetic nervous system is like a gas pedal. When you push down on it, it increases your heart rate, your blood pressure, your temperature, your amygdala, the fight or flight response—all of those afferent signals that move up the sympathetic nervous system. The parasympathetic nervous system is like a brake. You put the brakes on and that slows things down. And when you have those two things in balance, that is when you have heart and brain coherence. Because there’s an electromagnetic center around the heart and an electromagnetic center around the brain and the vagus nerve that travels between them is what allows these afferent signals to ramp up the sympathetic nervous system or the efferent signals that ramp down the parasympathetic side and bring those into balance so that energy works in harmony. Everyone has the ability to achieve balance and higher states of consciousness. The key ingredient is getting feedback. Where am I on this spectrum of things? And brainmapping is a really interesting way to get a handle on this. But it takes more than brainwave entrainment to produce the desired results. It’s also facilitated by a change in our conscious thoughts and subconscious beliefs and our emotional state. We use the HeartMath Inner Balance App and Sensor to improve performance and well-being through real time feedback of heart-rhythm patterns (HRV), as a breathing pacer to guide people into a more aligned inner state. It all works together.